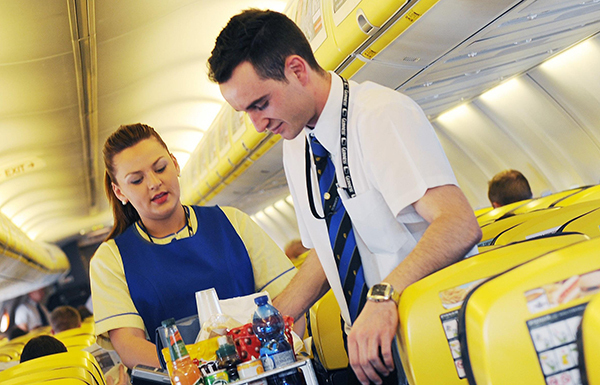 When traveling internally in Europe to certain destinations, there is only the choice of low-cost airlines. 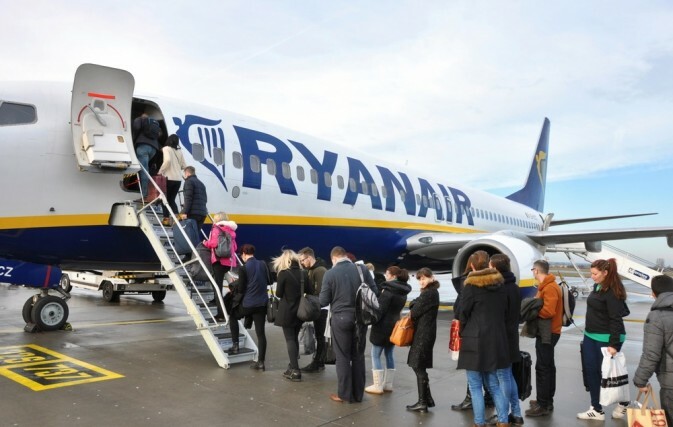 Ryanair is one of these no-frills carriers who offer connections to the lesser known airports. I recently traveled to see family in The Czech Republic. 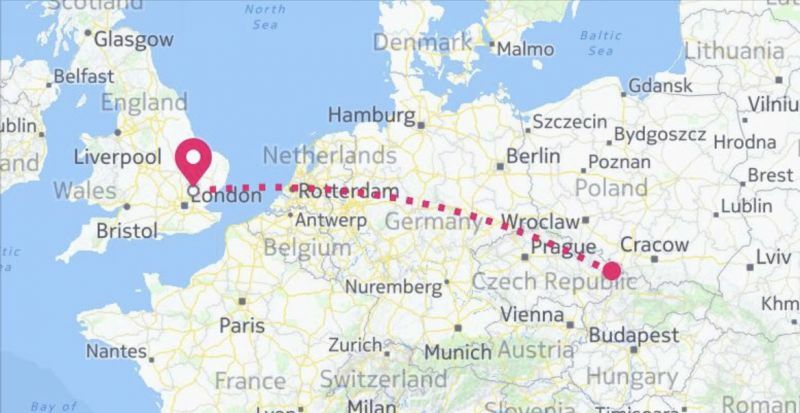 RyanAir is the only choice to get from London, GB to Ostrava, CZ. The alternative would have been to fly to Prague or Krakow and transfer by train from there. So I sucked it up and took the “Budget” airline. I have to say that I absolutely love our American versions of budget airlines. JetBlue and Southwest are among my favorites to fly internal flights in the United States. I have found them to be efficient, flexible, and comfortable. No, it’s not business or first class but I can live with it for short hops. Ryanair doesn’t even begin to compete with JetBlue or Southwest Airlines. Oh heck no. 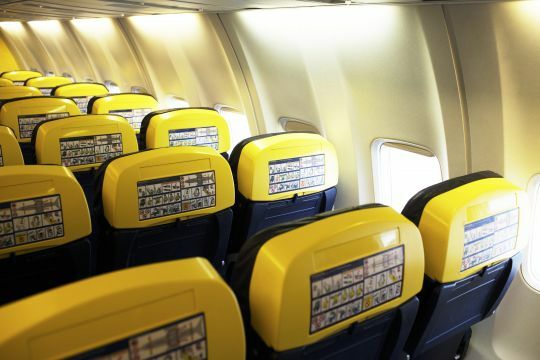 When Ryanair says no frills it means zero, except a very small seat (You are lucky you aren’t strapped to a wing). Every single thing is extra. They do let you bring a very very small rolling suitcase, but that is it. There isn’t even a seat back pocket to put little things in during your flight. There are no viewing screens, not even an in-flight magazine. Zero! I am honestly surprised they didn’t charge to go to the bathroom. The aisles of the planes are so small that the flight attendants kept smashing into my shoulder every single time they passed me. EVERY TIME. Here is the fascinating part though of the flight. I realized that they use the time to try to sell you stuff through your entire journey. There is never one minute that there isn’t a cart going back and forth trying to sell their wares. It was completely bizarre to see the flight attendants trying to be salespeople. They start off selling some kind of scratch raffle tickets with the chance to win £1 Million. Then comes the food cart, where the flight attendants call out the names of the items that are on the cart; I am not kidding. Next, comes the drinks. I felt like The flight attendants were flogging the food and drink like vendors at a baseball game: “Peanuts, get your peanuts!” “Popcorn, get it while its hoooooooootttttt”. You get the idea; it was weird. 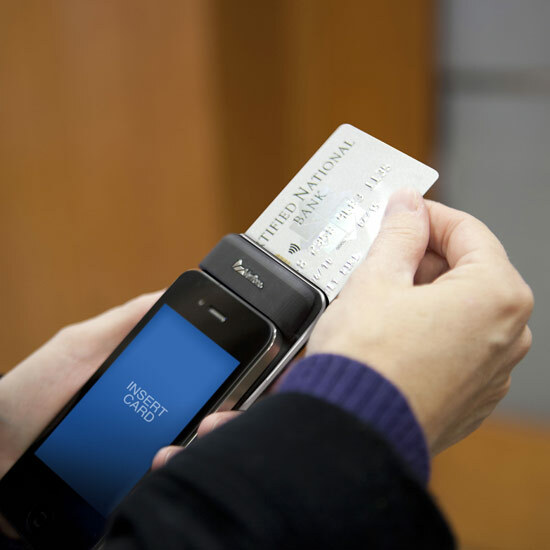 I did try to purchase a bottle of water (even a glass of water isn’t free on board) and they wouldn’t take my American credit card because it is chip and sign instead of chip and pin. I had British Pounds and American Dollars but they were asking for Euros even though the country I was traveling to uses Czech Koruna (Um ok then?!?). So no water for me. 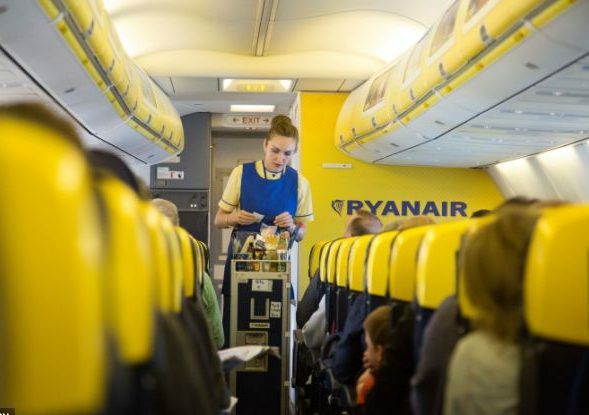 So here is what I took away from my flight with Ryanair. The best thing about it was that it went from London to Ostrava which is exactly where I needed to be to see my loved ones. The second good thing was the price – I booked last minute and still managed to get it for less than $200 round trip. If you book it in advance, it is as low as $20 with no luggage which makes Europe so affordable. The third good thing was that our flight got in way faster than scheduled both ways which is always a pleasure. The negatives? Well, the seats are CRAMPED. There are no screens, no magazines, and no extras. You are held hostage as they try to sell you stuff through the entire length of your trip. They even had a “sale” on duty-free perfume toward the end of the flight.